CASE SIZE: 3 3/4 in. x 4 7/8 in. 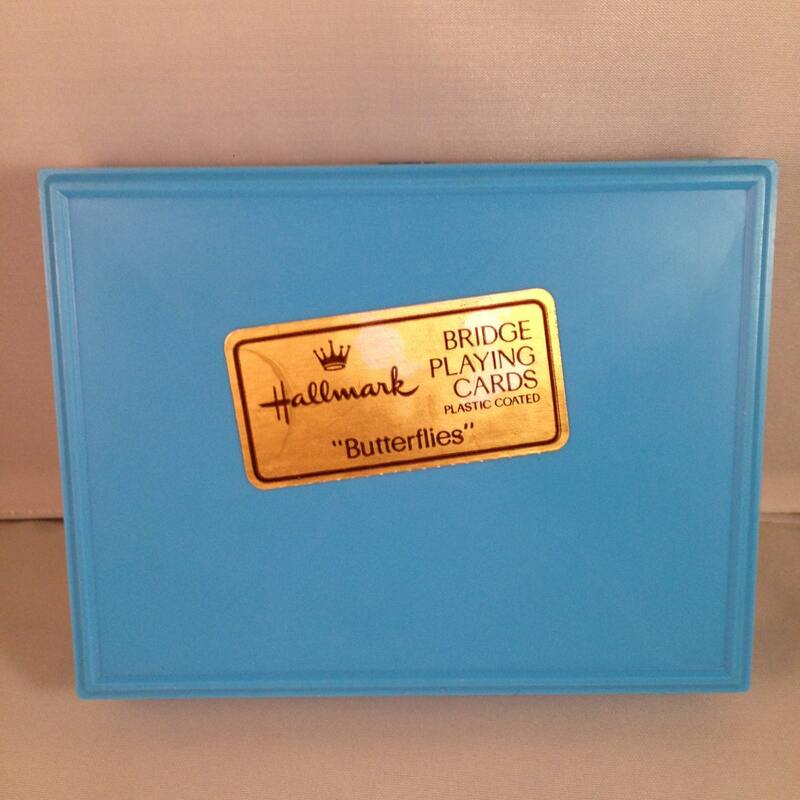 Here is a set of Hallmark Bridge Playing Cards, double deck and plastic coated. 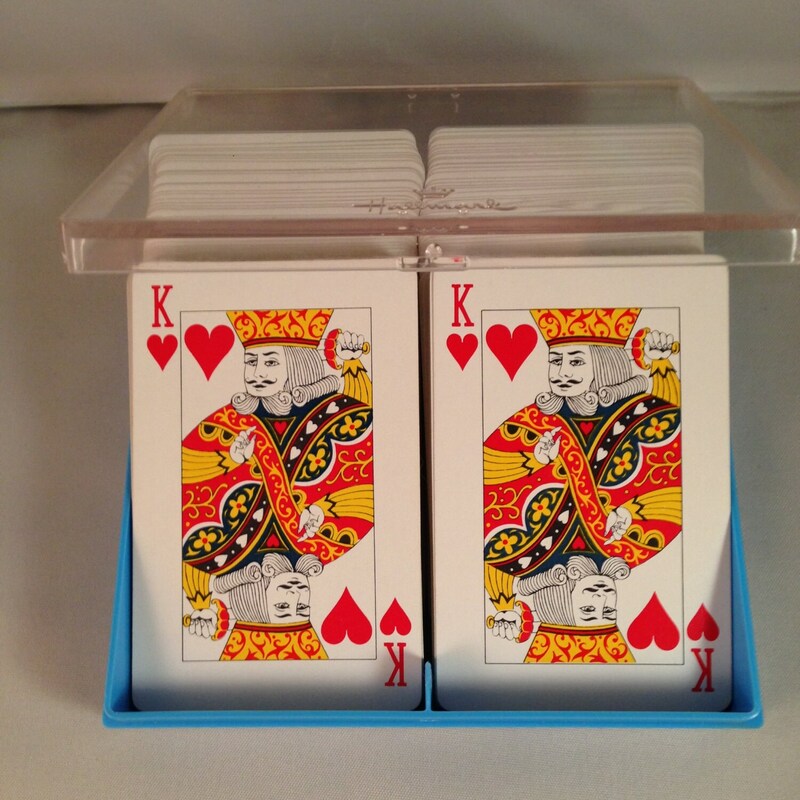 Both decks feature the "Butterflies" design. 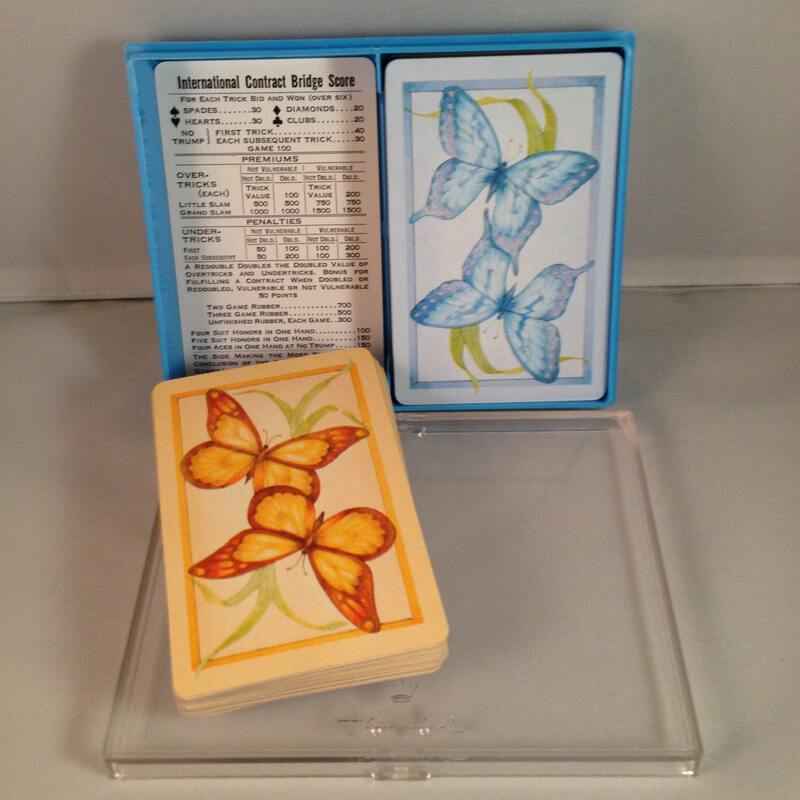 Deck One: Yellow Butterflies - contains 52 cards, two Jokers and an instruction card. 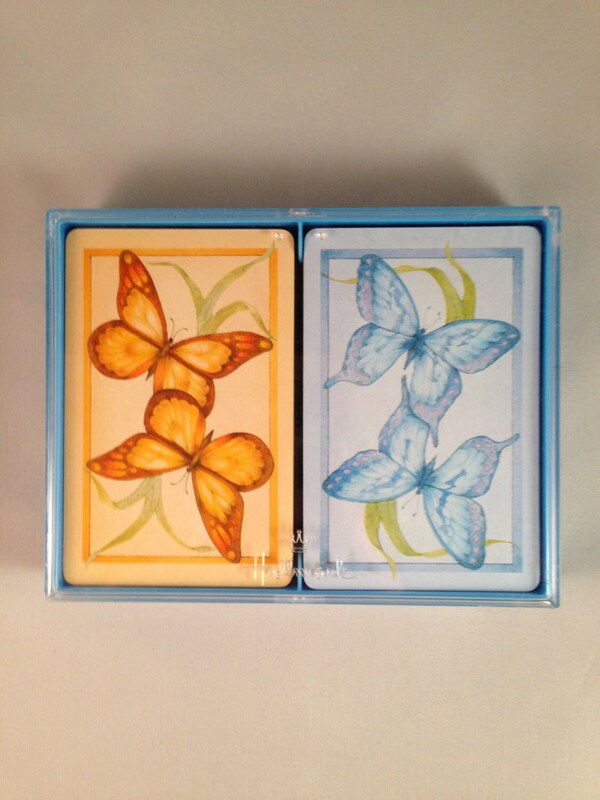 Deck Two: Blue Butterflies - contains 52 cards, two Jokers and an instruction card.